Lots of people buy brand new stereo systems and wind up hearing nothing but mono sound. Me, I blame retailers. Think of the last time you went into a major electronics shop and saw stereo systems on display. Invariably they’re presented, shelf after shelf, with the electronics console in the centre flanked by the right and left speaker, all three components jammed up hard against each other. Retailers present them this way not because it makes them sound good, it’s so they’ll occupy the minimum possible shelf space. But lots of buyers take their lead from this. I’ve lost count of the number of homes in which I’ve seen the stereo positioned in exactly this way. The speakers are so close to one another that there’s no discernible separation of right and left channel sound. Well not unless you stand with your nose between them anyway. 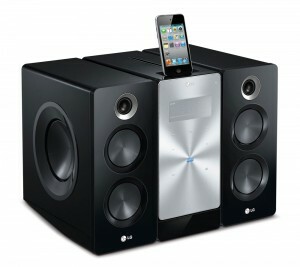 In all other circumstances the music will be a single lump of sound that may as well be coming from one speaker alone. The whole point of stereo is to add space and realism to the music. Set up a stereo system well and you’ll hear the violins over to the left, the double basses at far right and the flutes and oboes centre stage. Do a really good job with good equipment and you’ll hear the singer dead in front of you even though there’s no speaker there, and you’ll pick the exact position of every backing instrument in the recording session. It’s called stereo imagery and the better the stereo, the wider and more accurate the sound stage created in your head. But to do it the speakers must be well separated. Some enthusiasts say there should be a minimum of two metres between them but it depends on the room and your listening position. Under ideal circumstances the two speakers and your head should be at the points of an equilateral triangle, but if you’re like most people you’ll want to move around the room while listening. If so having the speakers at each end of a common wall, so wherever you are in the room you’re always between one speaker and the other, usually gives the best result. If you’ve crammed your stereo speakers hard up against either side of the electronics do this: Sit and listen, really listen, to one of your favourite recordings. Now separate the speakers as far as practical apart, angle them towards your listening position, sit mid-way between them and listen again. It’s a safe bet you’ll never put them back the way you had them. It’s a quick and easy way to get an immediate sound quality improvement from your stereo and it costs not one brass razoo. Take a close look at the picture with this story and you’ll see the speakers are positioned well away from the walls. This has likely been done to prevent bass loading. If a speaker cabinet has a hole at the rear it’s likely a vent for the bass woofer. This lets air pass in and out as the woofer’s cone moves to and fro generating sound waves. But the cone also creates waves within the cabinet and these can exit the cabinet through the same vent. This means that if the vent is too close to a wall the bass notes can be loaded up with reflections from the wall, making them muddy and over emphasised. This is why enthusiasts with vented speakers like to keep the vent at least 30 to 40 cm from the wall, but then they do have golden ears; if you can’t hear a difference it hardly matters. Most vents are round and generally about 10 cm across, and some have strange surfaces. A few feel like flattened out golf balls. This is to assist air flow and prevent air movement becoming audible, sometimes a problem with big bass drivers when they’re working really hard. This problem has a delightful name: Chuffing. Not all vented speaker cabinets have the vent at the rear, some have one at the front under the array of drivers that create the sound. Obviously these don’t have a bass loading problem because the vent is pointed out into the open room. A few have what’s called a passive radiator. It’s a cone that looks much like another driver but in fact has no motor behind it; its movements in and out result purely from the changes of air pressure within the cabinet. Philips has become something of a champion of passive radiators saying they enhance bass response. It calls the feature Woox and it can be found on a number of its system’s speakers.